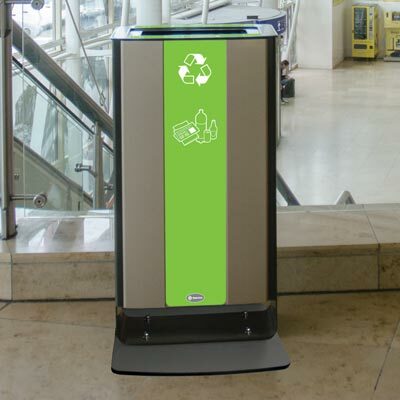 The Electra™ 60 general waste recycling bin is ideal for modern indoor locations and can be used with other products in the Electra recycling range to encourage users to recycle responsibly. 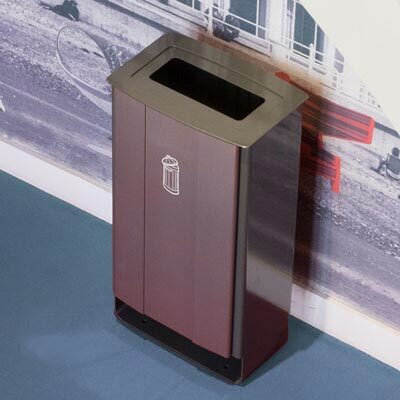 The Electra 60 recycling bin for general waste is designed to create a unique, aesthetic container to suit modern indoor locations and encourage users to recycle responsibly. 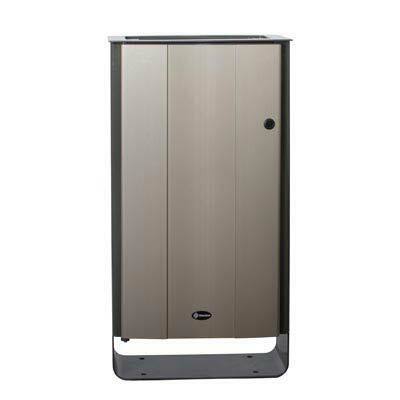 Manufactured with Armortec™-coated steel framework and Vandalex™ material body panels, the Electra 60 has excellent fire and vandal resistance, and a substantial service life. 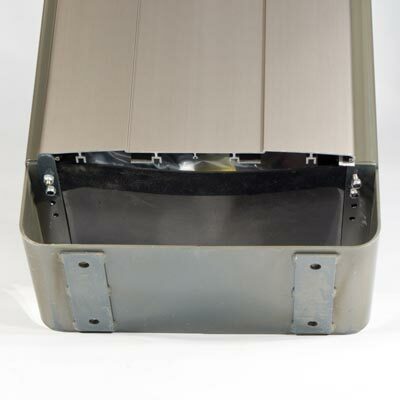 The Armortec-coated steel frame and bin body panels are 100% recyclable, making the Electra 60 recycling bin an environmentally friendly indoor recycling container. Ideal for new and modern styled developments such as universities, retail developments, large transport hubs and architectural areas, the Electra 60 recycling container has a striking design that provides a long service life as corrosion and maintenance is minimal. 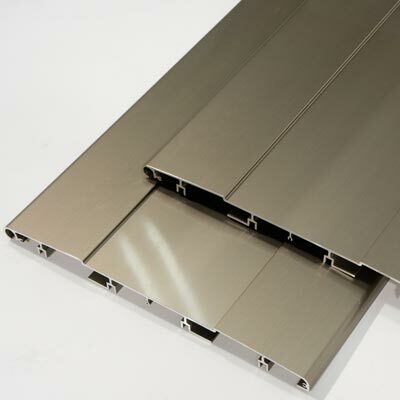 The bin body panels have an anodised and polished Electra Grey finish, contrasting with the Armortec™ coated umbra grey steel frame to create an attractive, modern appearance. 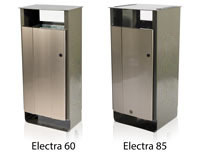 The Electra 60 recycling bin is supplied as standard without any graphics. An extensive variety of graphics are available to purchase for this container, allowing you to tailor the look of the recycling bin to suit your requirements. 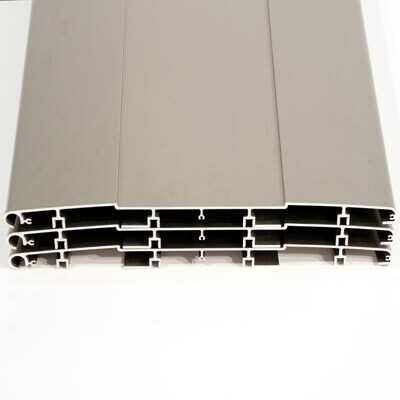 If you wish to find out more about the graphic options available for the Electra Recycling range or would like to see how your chosen product would look with custom graphics before ordering, please request a quote today. 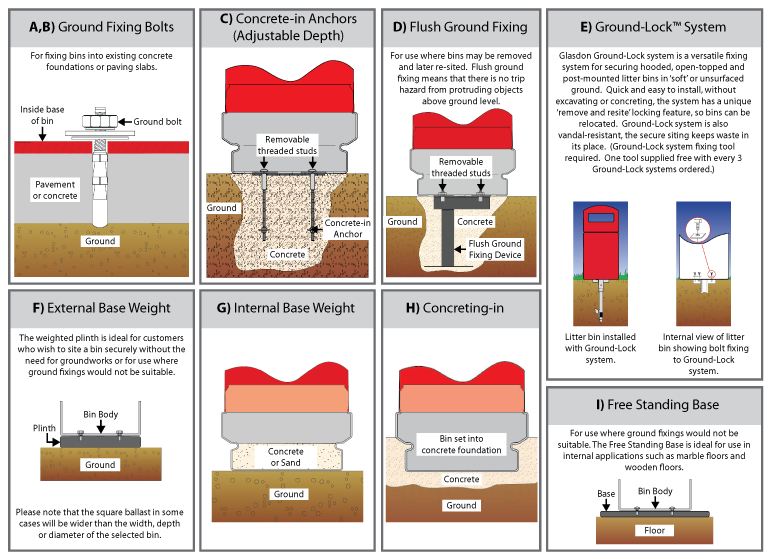 Where a free standing kit is not ordered, the Electra 60 recycling bin must be ground–fixed and our concrete and paving fixing kit are supplied as standard. 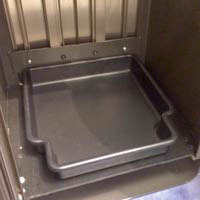 Drip Tray for use with the Sack Retention System. 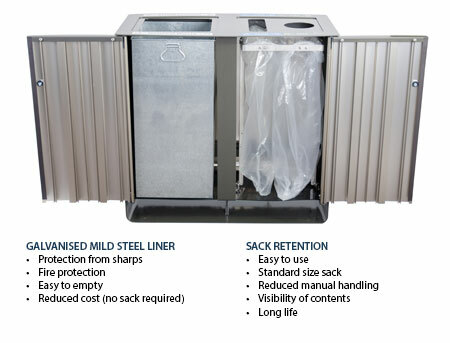 Designed to catch any liquid or waste from damaged, leaking sacks and helps prevent spillage and pooling around the base of the bin. 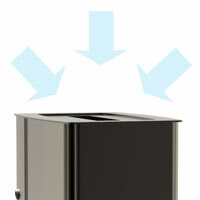 Glasdon have extended the Electra™ litter bin range to include an innovative range of recycling bins. Designed with modern environments in mind, the Electra range can be used to create a successful waste management programme. 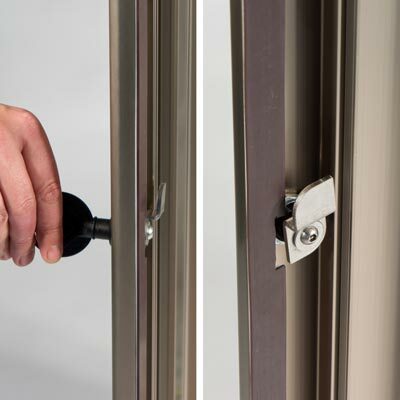 We’ve created this guide to help you select an appropriate, secure fixing for the location of your litter or recycling bin. Create impact, extend your brand and add value for your customers and visitors with the Glasdon personalisation and branding service. We may overlook the importance of having clear, consistent and visible graphics and signage in our recycling programme but they play such a crucial role to the success of your diversion rates. Images and text can help to reinforce your recycling messages and educate passing users. We have put together some useful tips to help you get the most out of your graphics and signage programme. For many of us recycling plays an important part in our everyday lives - so what exactly are the benefits of recycling? Glasdon recycling bins are supplied as standard with graphics and aperture colours that conform to England's national standard, set by the RecycleNow campaign from WRAP. 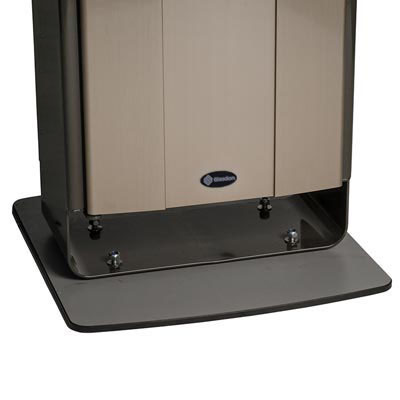 Many Glasdon litter bins are available with a choice of zinc-coated steel or moulded plastic liners. Which one is right for you? Which fixing option is best for me? We offer a wide range of fixing options for your outdoor litter bins that are each designed to meet a specific requirement. Which is best for me - Mixed Recyclables or individual bins for each stream? More and more of our customers are asking us this, and the answer is more complex than you'd think. Let's start by looking at what each option means. As part of Glasdon's commitment to exceptional customer service, as well as our responsibilities as an ISO9001 certified company, we invite customers to complete a Customer Satisfaction review. 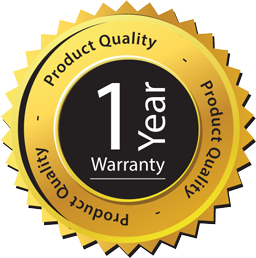 We ask customers to rate our performance on a scale of 1-5: how we handled their initial inquiry, delivery performance, product quality, after sales service and overall satisfaction with the process.